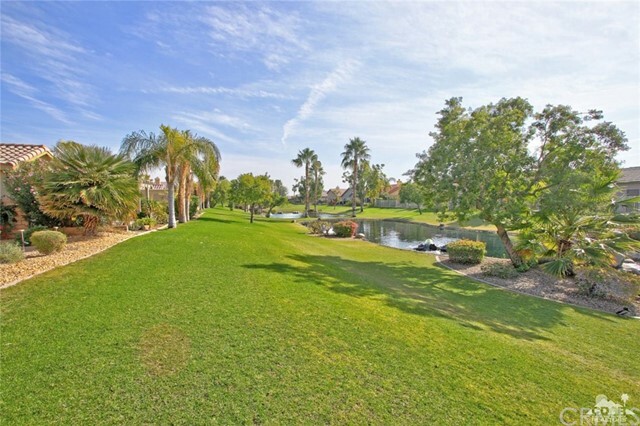 Views, Views Views! 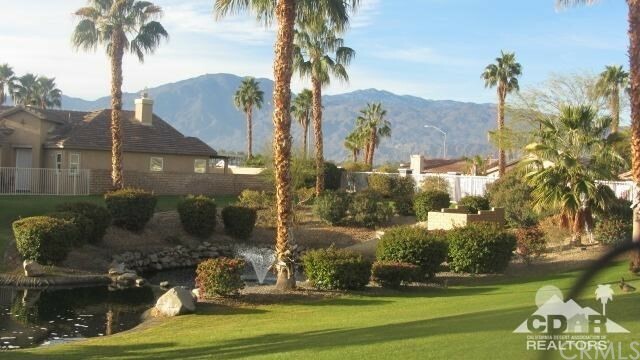 This home has one of the most spectacular views in the country club. 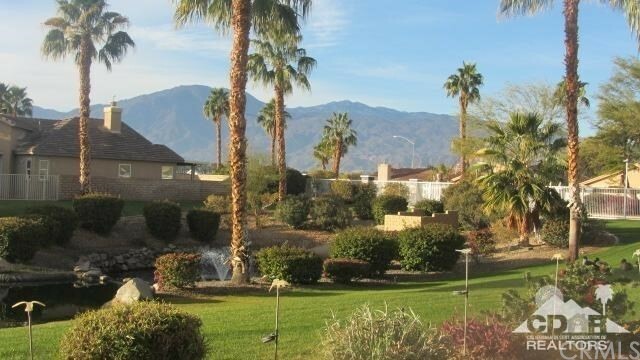 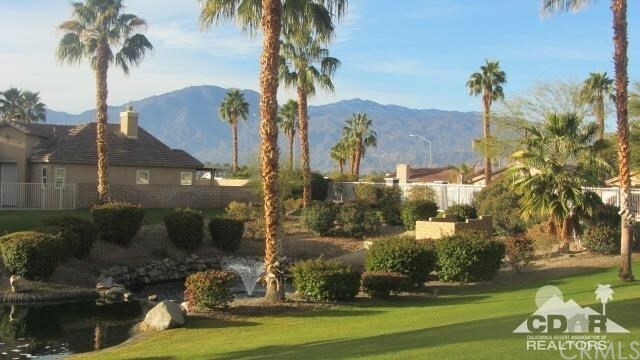 Located on a southern triple pond green belt with mountain views must see to appreciate. 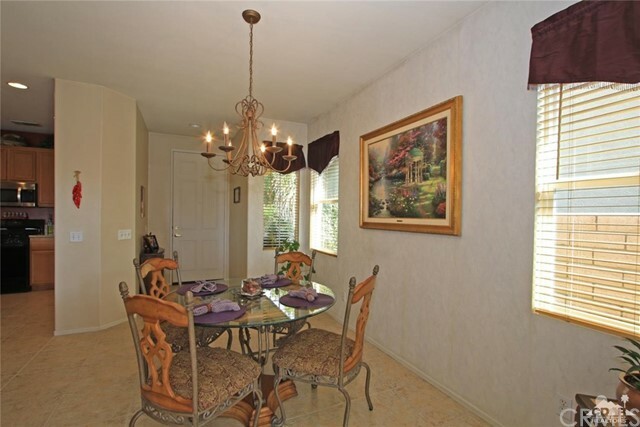 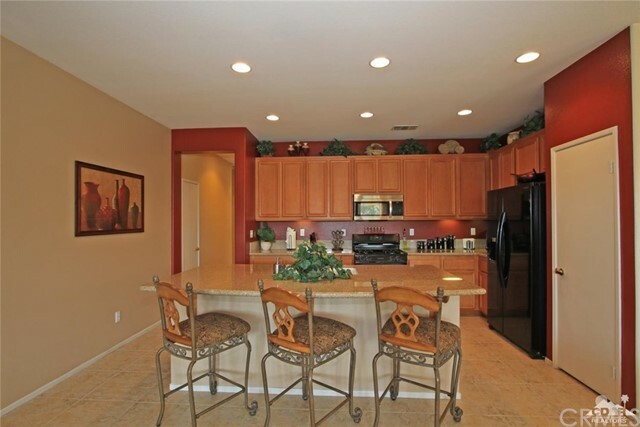 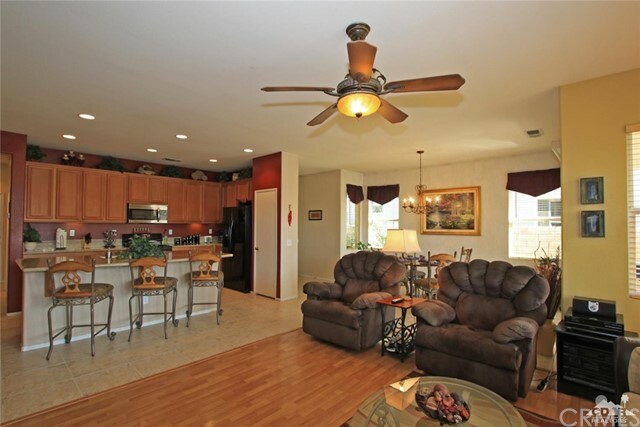 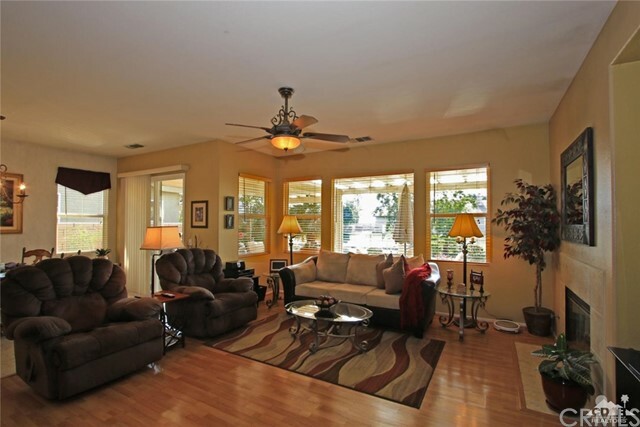 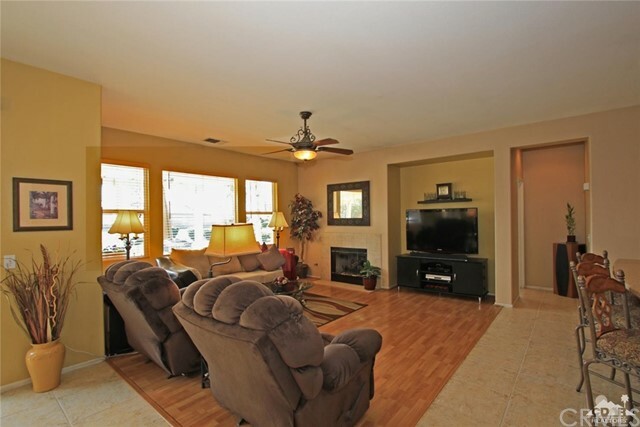 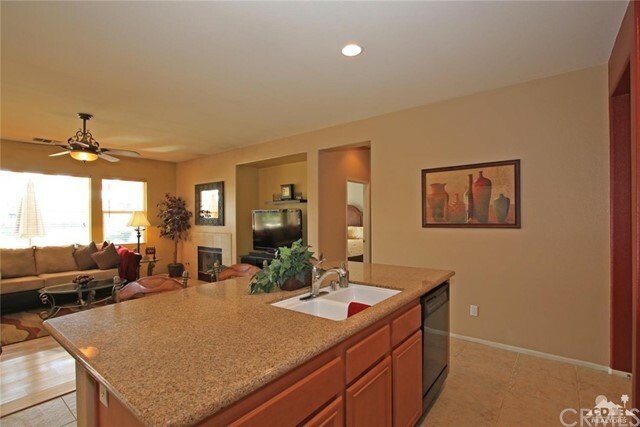 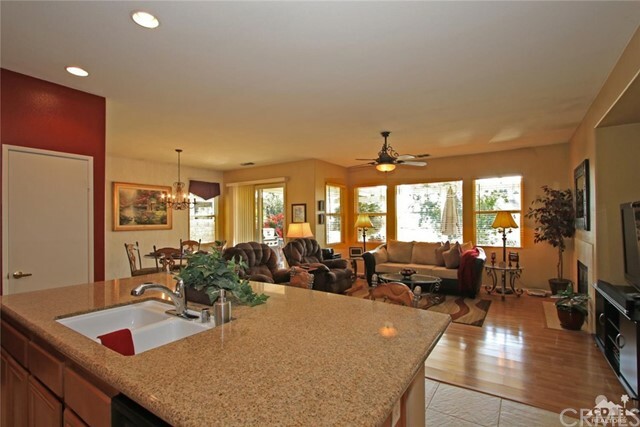 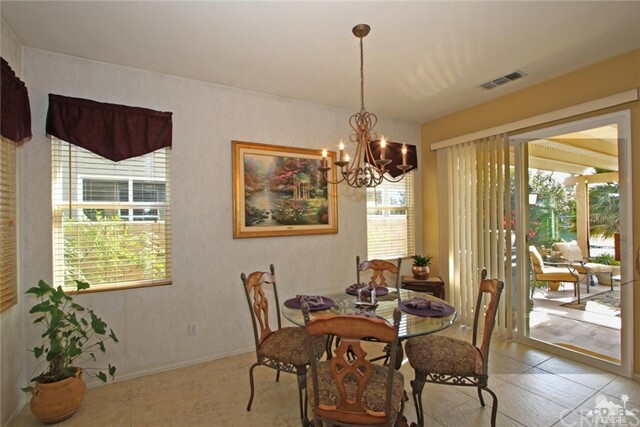 Three bedroom and two baths, great room with fireplace,open kitchen, large center island. 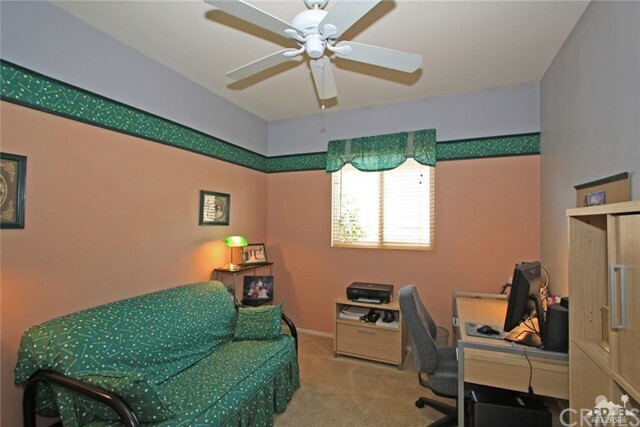 Designer paint throughout. 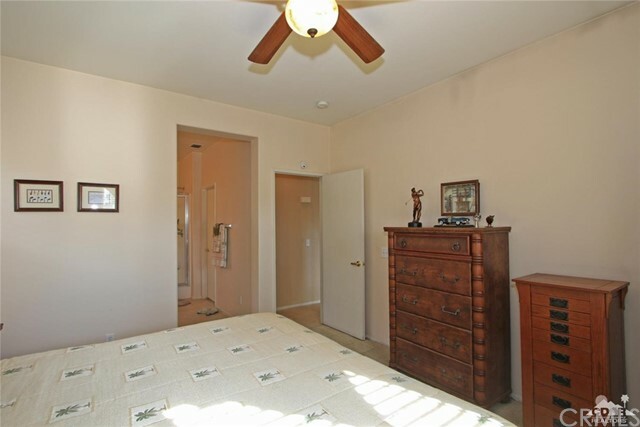 Hard surface floors (tile and wood laminate) throughout the main living areas, carpet in the bedrooms. 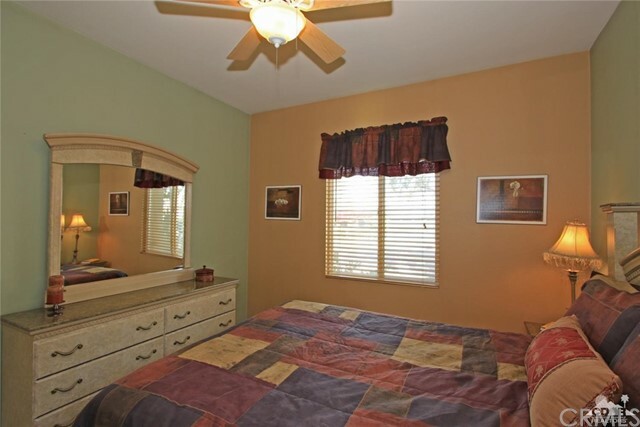 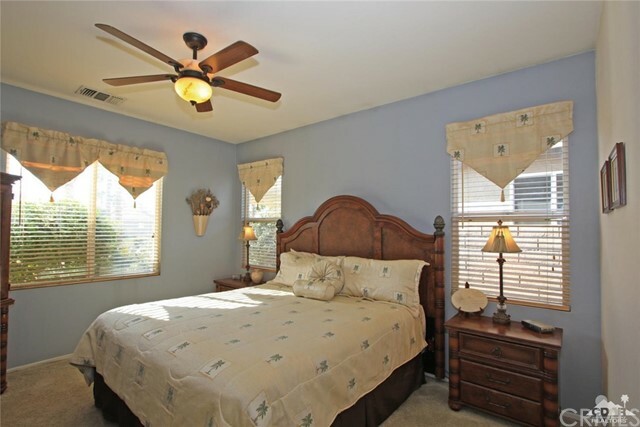 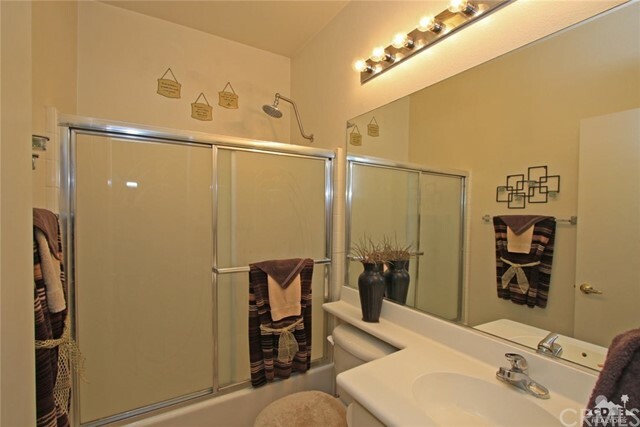 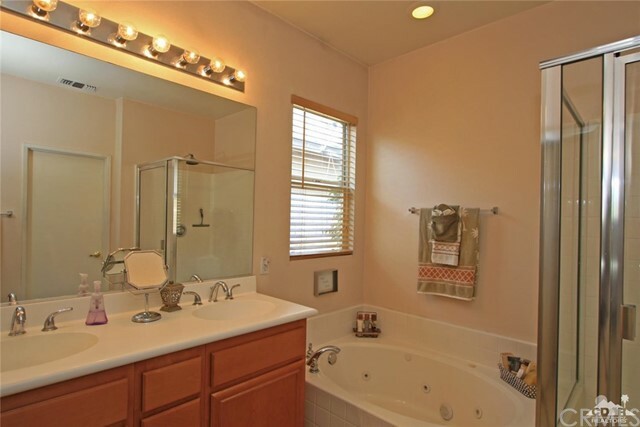 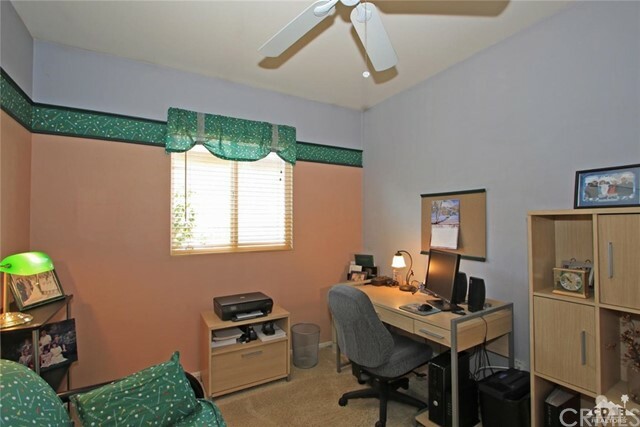 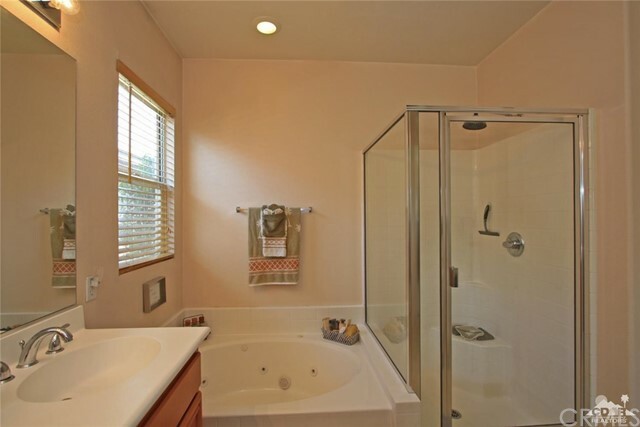 Master bedroom has a wonderful sumptuous bathroom and large master closet. 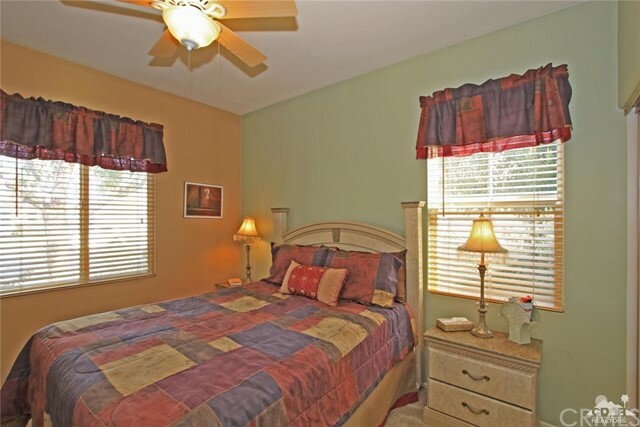 2nd and third bedrooms are cozy and have good separation. 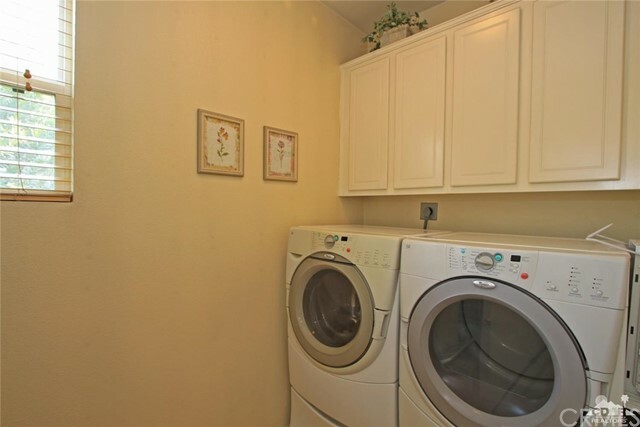 The laundry room is toward the back of the house is large and has good storage. 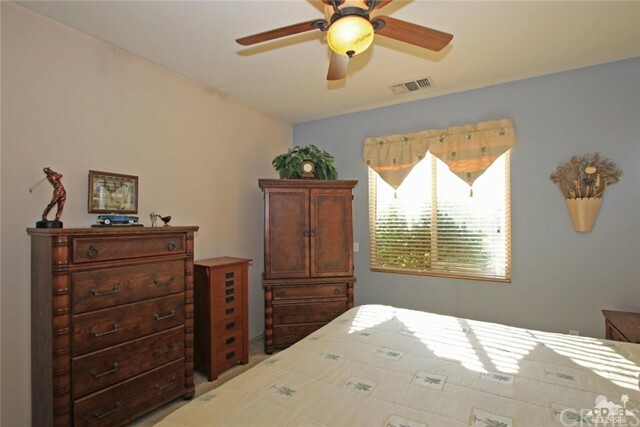 Garage is super clean and has lots of storage. 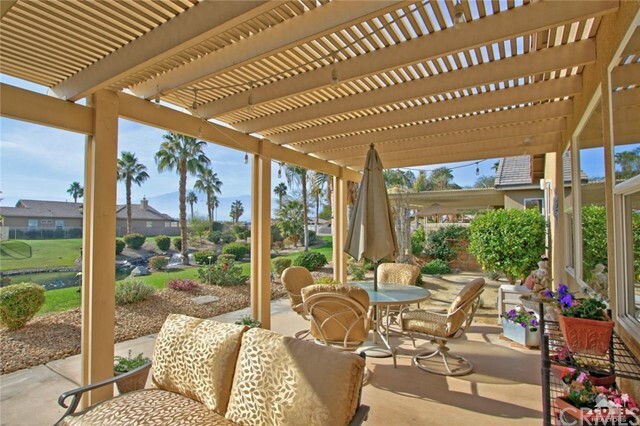 Outdoors on the south facing patio there is desert style landscape two prolific trees a lemon and an orange, a large aluma cover over the patio. 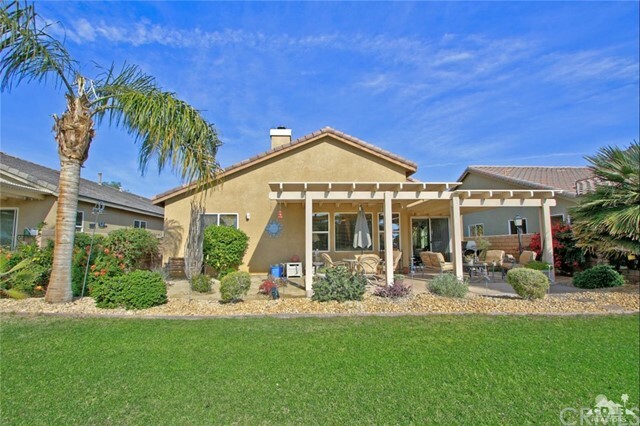 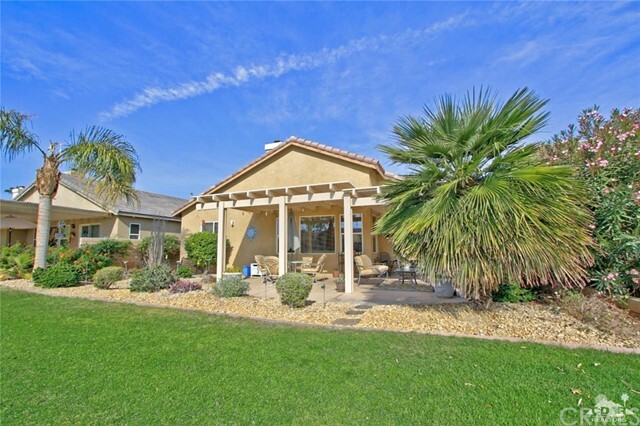 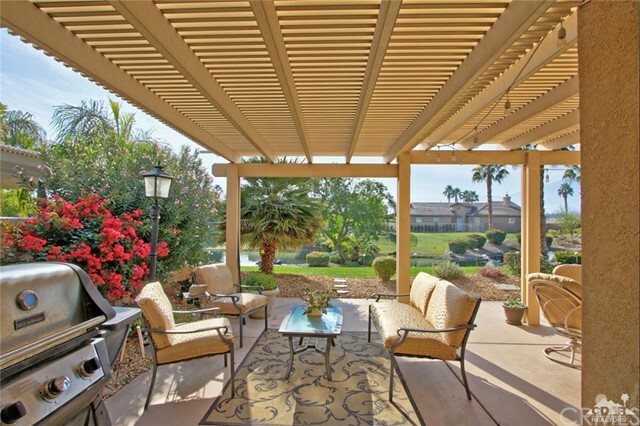 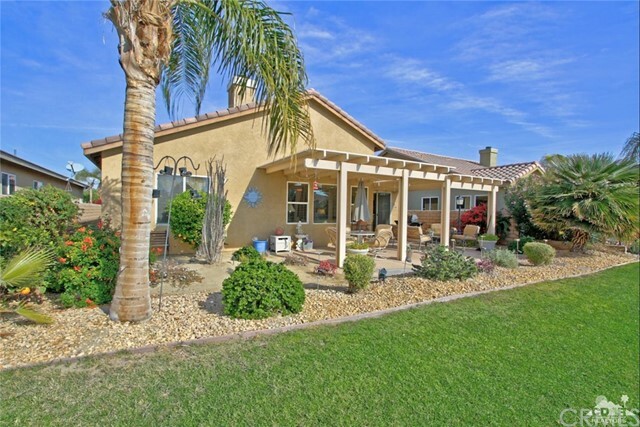 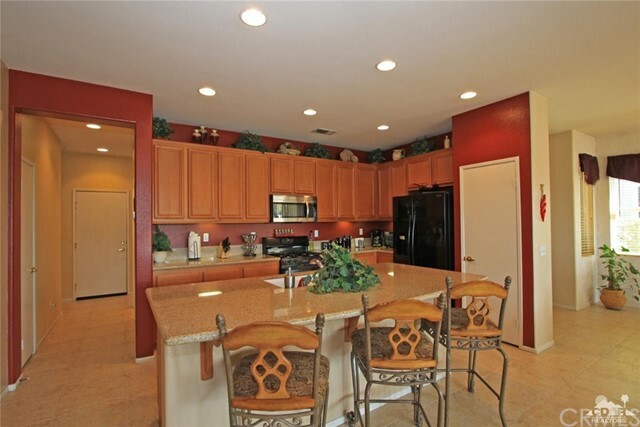 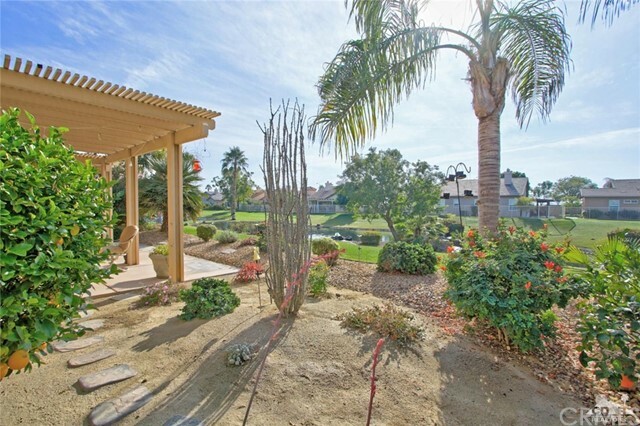 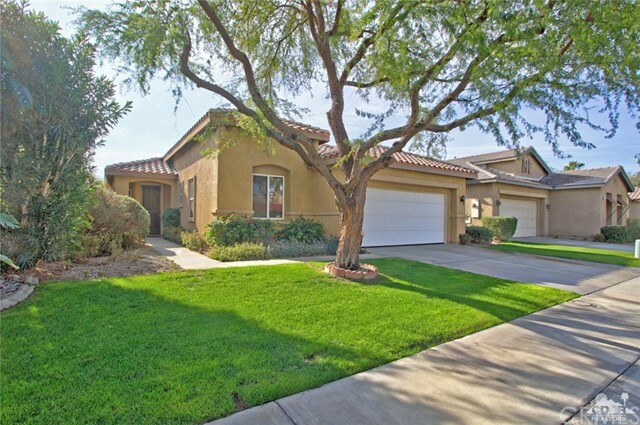 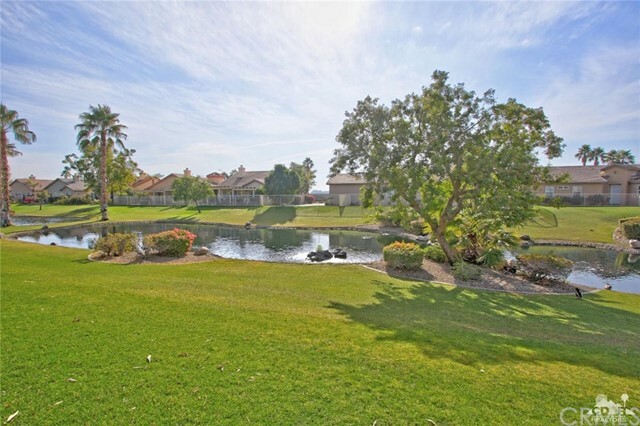 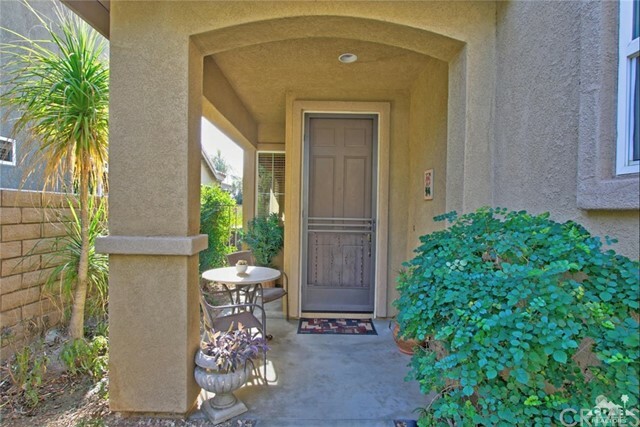 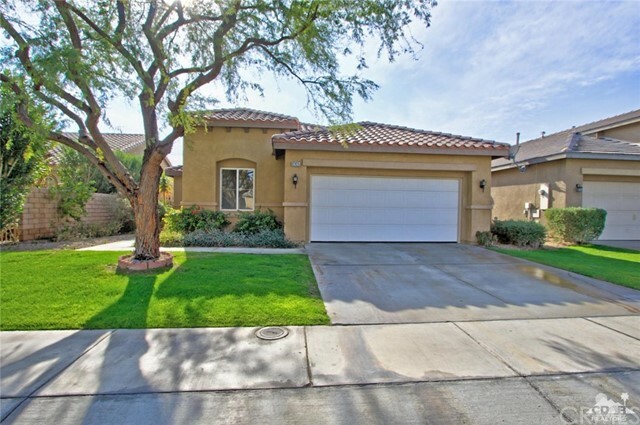 Sit in this fantastic outdoor space and enjoy the desert lifestyle the way you envisioned. 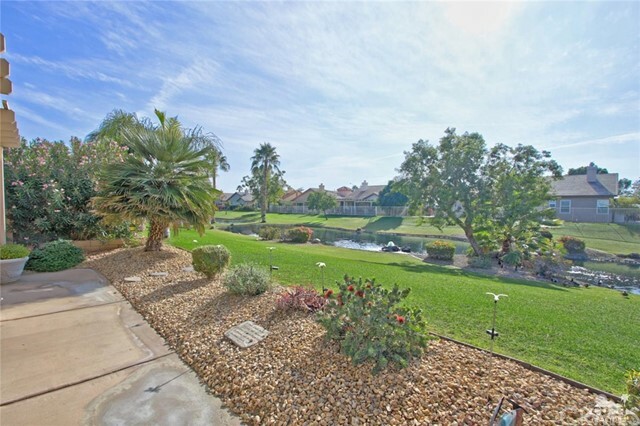 Community pool located 1/2 block from the house. 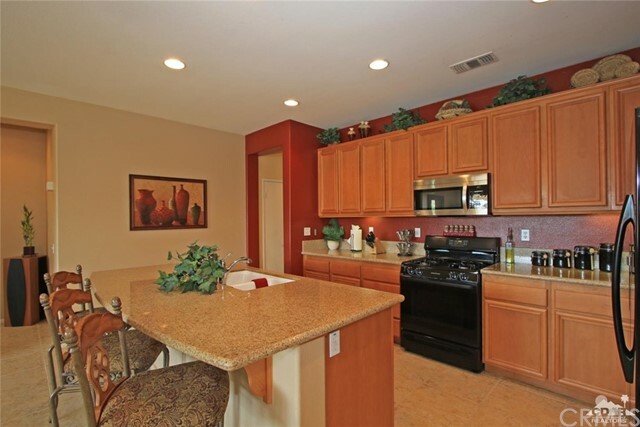 Lifestyle Center Included in HOA dues.